Following the success of the first Laura Ashley The Tea Room in Solihull, the company has today announced the opening of the first Laura Ashley The Tea Room in the South of England, at Burnham Beeches Hotel, Burnham on the Buckinghamshire-Berkshire border near Slough. Guests can expect all the British afternoon tea classics including a selection of freshly made finger sandwiches such as cucumber with cream cheese and dill on granary bread; Wiltshire ham with grain mustard on onion bread; and Loch Duart smoked salmon and lemon butter open on rye bread. The afternoon tea’s fancy cakes and patisserie selection will change regularly and will include modern interpretations of British classics created using seasonal produce by Head Pastry Chef, Laura Zilio. With prices starting from £24 per person, afternoon tea will be served with freshly baked fruit and plain scones with artisan jam and Cornish clotted cream including a selection of teas. Guests can opt for Prosecco or Champagne, or for a truly British affair, The Tea Room has partnered with Hattingley Valley English sparkling wines to serve afternoon tea with their classic multi-award winning English Sparkling Wine and English Sparkling Rosé. The Tea Room is decorated in signature Laura Ashley style featuring products from Laura Ashley’s accessories, furnishing and decorating ranges. Beautiful floral prints in muted colours including Baroque Pale Grape floral wallpaper are complemented by Pale Steel painted walls with a Grape colour feature wall. The bright and airy space with high ceiling and large windows, complemented by classic architectural features, makes for a striking backdrop against which to showcase Laura Ashley soft furnishings and decorative items including mirrors, ornaments and a small selection of vintage teapots, creating an elegant and comfortable space – perfect for indulging in the most British of pastimes. The opening of The Tea Room is the first stage of Burnham Beeches Hotel’s rebranding to become part of the Laura Ashley Hotels portfolio. In Spring 2019, the elegant 82-bedroom Burnham Beeches Hotel will be refurbished in line with Laura Ashley brand standards and will showcase the Laura Ashley Home range and its exquisite, inherently high quality British fabrics and furnishings throughout. Laura Ashley The Tea Room is open from 12 noon until 6pm. 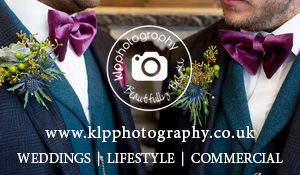 Website launching early September, to book call 01628 429955. The Foxy Deer team are also very excited to be able to offer a fabulous prize for the gorgeous new Tea Room. You can enter up until 31st August – Good Luck! Competition Terms and Conditions: Prize winner and guest must be aged 18 and over. Prize to be redeemed and booked by 10/2/19 and is subject to availability. Reservation must be booked in advance (please contact the Foxy Deer team for contact details) Travel and accommodation expenses are not included. Any extras and drinks will be charged. The Foxy pick of Mother’s Day Gifts! Rest, rejuvenate, relax with our Top Spa Picks!